Harvard University Press, 9780674093614, 306pp. What accounts for the precarious state of liberalism in the mid-1980s? Why was the Republican Party able to steal away so many ethnic Democrats of modest means in recent presidential elections? 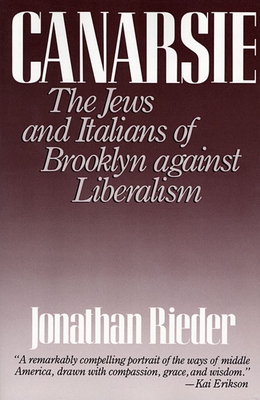 Jonathan Rieder explores these questions in his powerful study of the Jews and Italians of Canarsie, a middle-income community that was once the scene of a wild insurgency against racial busing. Proud bootstrappers, the children of immigrants, Canarsians may speak with piquant New York accents, but their story has a more universal appeal. Canarsie is Middle America, Brooklyn-style.